This is one of the kids’ favorite books. My son has loved it since the day I first read it, shouting along with the story — “Go away scraggly purple hair!” and all the rest. So when Laura Kelly invited me to participate in a Halloween popcorn box blog hop, I set the kids to work. And this is what they came up with. A Big Green Monster popcorn box. 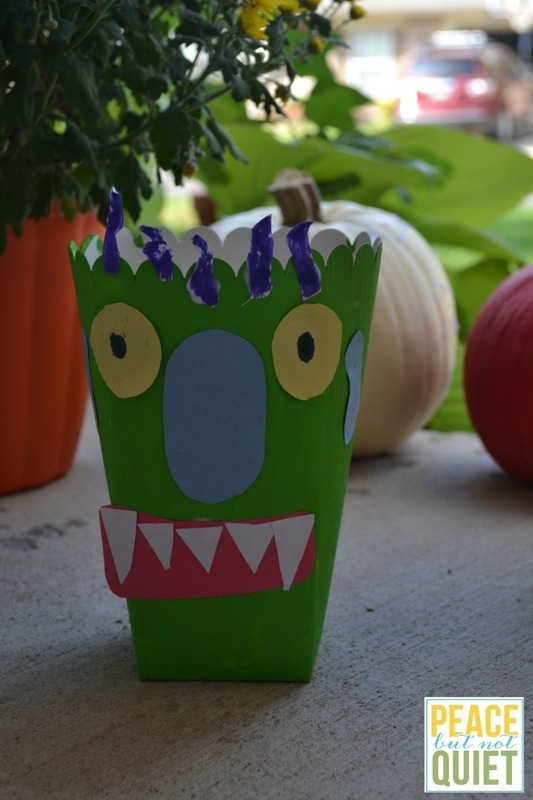 We painted the box green with acrylic paint, and the kids cut out the eyes, mouth, “long bluish-greenish nose,” teeth, and — of course — the purple hair — from construction paper. They glued everything on and…bam! Big Green Monster. We filled him with popcorn…and suddenly he was much less threatening. He was downright friendly, carrying around our popcorn like that. Our caramel corn recipe is very simple — melt 1/2 c butter and 1/2 c brown sugar together in a saucepan over medium-low heat. 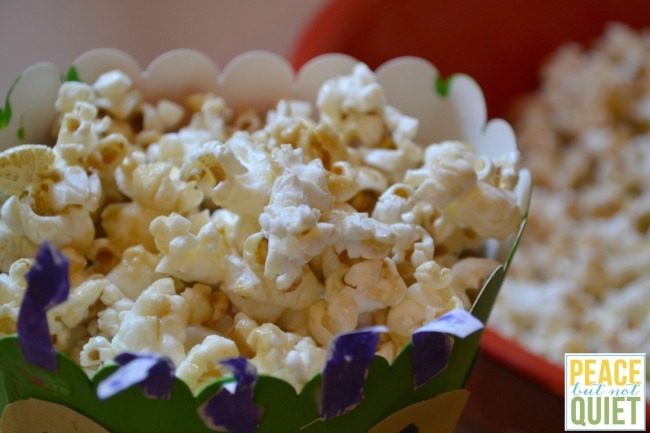 Pour over a bowl of popcorn, transfer to a 9×13″ pan, and bake at 350° for 10 minutes, stirring occasionally. 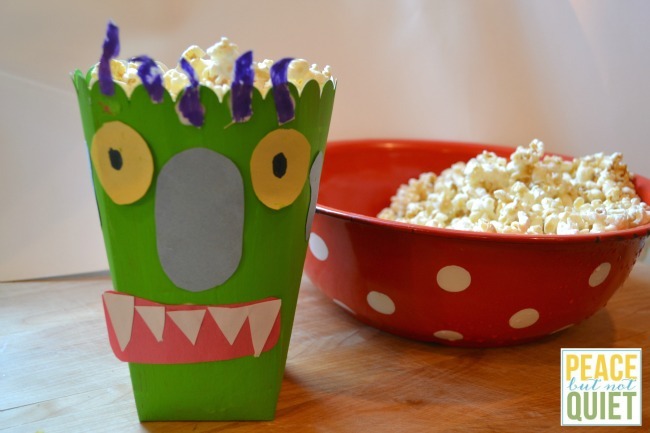 Let cool and eat, preferably out of a scary monster popcorn box. Since this is a blog hop, that means other bloggers have joined up, each with their own fun take on Halloween-y or fall-ish popcorn boxes — and we’re also teaming up on a giveaway! You’ve got a chance to win a $50 Cost Plus World Market gift card, a $100 gift card to Lollipics for custom-designed treats, or a Sizzix Big Shot Machine.